More travel adventures… I woke up this morning and got into the shower. I was surprised that the soap and shampoo that I used Monday morning was gone (that's waste, throwing out half used toiletries). I stepped out of the shower — nothing on the counter. Ugh. So, I complained a the front desk on my way to work. They apologized. I got back to my room after work and found, yes, soap and shampoo. Not only that, but DOUBLE. I guess “on average,” I had one bar of soap in my room, eh? Zero bars one day, two bars the next. I didn't need DOUBLE. They are cleaning my room tomorrow, as they do every day. How often are problems “solved” with an overreaction? If bad service is given, does your organization “respond” by doing twice as much or even doing more than what's needed? Why not just perform consistently every day? I wonder what steps happened between me complaining at the front desk and the time my room was cleaned. Did someone get yelled at? Was there a “root cause” problem solving effort? Is there a standard work checklist for cleaning a room? I bet someone just got yelled at. Too bad. Update 9/13/06: I got a number of comments, including one from someone who is probably in the hotel industry. To be clear — I believe this is a MANAGEMENT problem. Sure, every individual who cleans a room is responsible, but if management pushes SPEED over quality, if the people cleaning rooms have an unreasonable time standard or quota, then that's management's fault when small details get missed. HA! Unless you were staying at the Hampton Inn in Lawrence, KS, this throwing away of half used shampoo must be standard procedure. I have been on a project here in Lawrence and had to specify to the cleaner that I would rather not waste the other half of the bottle! This is too funny. For the first time ever, the hotel I was staying with in Colorado Springs threw out my soap and shampoo. This was 2 weeks ago. My root cause analysis found that the house keeping staff was short that day, and that one of the maintenance workers had been cleaning rooms. Hope this doesn’t become epidemic! Hotel business is seasonal, so most hotels hire temp or part time in busy season, but seldom provide enough training. Most terrible is the management drive house keeping girls crazy: fast, fast, fast. How clean do you think your hotel room is? Think that again! Dear Anonymous — this is CLEARLY a management problem. I should have probably stated that more clearly in the posting (I’d edit the post). I’m sure that the women cleaning the rooms are pushed for speed above quality. That’s the type of poor management that we see in other industries and that’s one thing that Lean is trying to fight against. I assume you work in the industry — I hope your management doesn’t treat you too badly. Look for my next post about a WORSE problem with the same hotel. I am not working in hotel industry. However I did many different short term part-time jobs. Personally I think the root cause is job arrangement and job design. Hotel guest check out 12:00PM and check in 4:00PM. VIP guests check out 1 or 2 hours later and check in 1 or 2 hours earlier. So it only leave < =4 hours to housekeeping to clean up all the rooms. The number of rooms need to be cleaned and the time to clean each room vary. Some rooms can be very dirty. Basically the total labor time to clean all the rooms fluctuates and is not predictable on daily basis. All rooms have to be cleaned in these 4 hours so that those rooms can be sold. It creates a big capacity and demand balance problem. A hotel I knew hired max labor and send housekeeping back home earlier when not enough work, no pay. People starts to quit. Nobody wants to work 4 hours today 6 hours tomorrow especially when the pay is almost min wage. Can hotel hire max labor and leave them idle time by time. Maybe? Cost! The solution, my opinion, is to make housekeeping people multitask and redesign housekeeping process. First give housekeeping multiple tasks. Besides cleaning rooms, they can also clean lobbies; do laundry; better prepare their carts; organize housekeeping rooms and laundry rooms; deep clean room one by one when the workload is low; do some guest service or simple admin work, etc. All other tasks won’t affect guest check-in or check out, but will create a cleaner, better hotel and stable work staff. 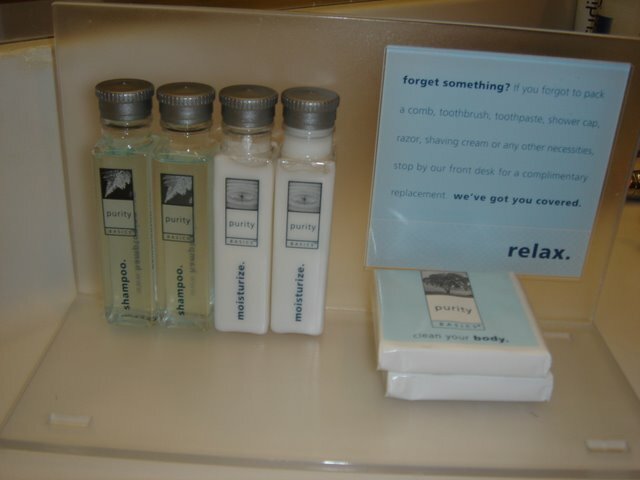 Housekeeping people waste a lot of time because of poor preparation or poor hotel room design. Housekeeping are supposed to have everything they need handy and organized. I saw people running like an idiot to look for something missing. I saw not organized storage rooms like a maze, and take those girls minutes to find one thing. How many things are in your hotel room need to be checked and changed? More than 10. You count. And hotel room settings are supposed to be designed to be cleaned easily, to be changed quickly, and ensure comfort level. Want real poor design stories, I can tell you later. Two kinds of management in hotel business, they are not able to solve the problem. One: no experience in housekeeping, they don’t know the process so don’t know exactly how to evaluate and how to improve. Second promoted after many years working as housekeeping, they are so used to the way it is that they don’t think about change or redesign the process.